So many people think that “clean eating” is just a fad, or if they are interested, have a thousand excuses for why it’s not possible in their household. I’ve heard that healthy food is too expensive, that cooking healthy is too hard, that their kids/husband wouldn’t eat healthy food, and even that they don’t have time. I have written a dozen articles, which I will link to in this article for you, that rebuff all of those excuses. I truly believe that if you want something bad enough, you’ll make it happen. I wanted to share our household’s reality with you so you can see that it truly is possible to be 100% clean eating, it’s actually fun and very easy, and I save a boatload of money on our grocery bill each month by eating healthy and avoiding all of the junk. First of all is the way we get our food. This is typically the first step in how you think about food. Most people buy their food from a big box grocery store like Wal-Mart, Kroger, or Safeway. Honestly it is incredibly difficult to find good “clean” food at any of these stores, unless you buy the extremely expensive organic products. 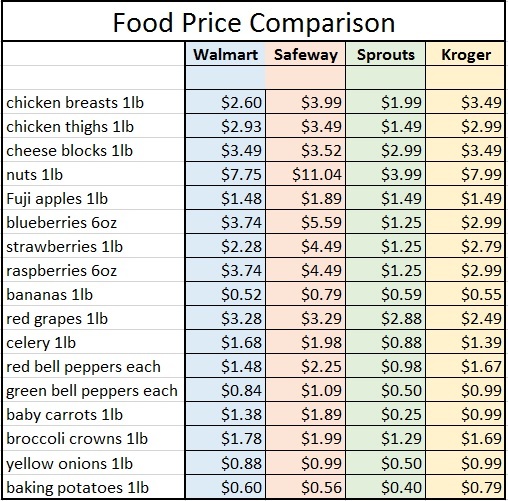 The reason that organic food is so expensive at these stores, is that they jack up the price of those items to encourage you to purchase all of their other products (namely, their store brand products, as these are the cheapest). By jacking up the price of the organic foods, these also participate in furthering the belief that society already holds that organic is simply too expensive, and therefore not worth it. With this one simple action, they can get most people to give up on the idea of buying organic for good, if not for a while. 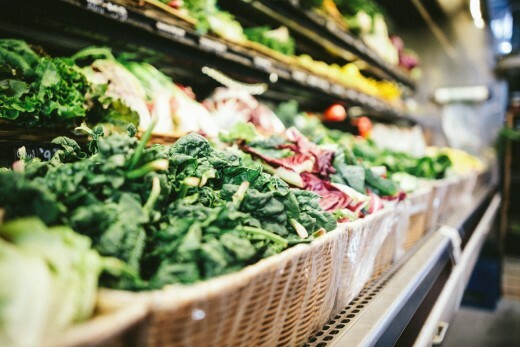 As we are not capable of creating all of our own food yet, we also have to shop at the grocery store, but we have chosen an all-organic food store that offers a variety of organic food with and without labels, and has fantastic sales all the time on most of their food. We shop at Sprouts. Little known fact, this store has farms that produce food just for their stores, grown without all of the chemicals, GMOs and pesticides. No matter what we purchase, we can count on the quality of the food that we are buying, even if we don’t buy the items with organic-specific labels. And most of their food can be purchased at cheaper prices than what you would find, even at Wal-Mart. I’ve actually done the research. Check it out below. And looking at these prices, I found even better deals at Sprouts this last weekend. We scored 6oz packages of blueberries at 0.88 cents each. I bought 20 of them and we keep them in the freezer for anytime we want or need blueberries. I also purchased packages of chicken breasts at $1.77 a pound, but I know that many times they have them on sale for $1.49 a pound. We even bought grapes at 2 for $3, which surpasses even the great price listed on the chart. Basics - Normally I just buy the basics from the store. Items like nuts, seeds and oats from their bulk bins, local honey, full fat grass-fed milk from the dairy, cheese, grass-fed butter, and organic yogurt, fruit, veggies, whole wheat flour, grass-fed beef and chicken, coconut oil and coconut sugar, all when it goes on sale, and only when it goes on sale. Then we stock up and keep the extra in the freezer until we need it. This way I save money in the long run. Normally, I don’t buy every ingredient every time. I usually buy one bulk item at a time so we’re not spending too much. Meat this time, cheese next time, and tomatoes the next, depending on what’s got the best sale, with some every basics like milk and strawberries. Personal Garden - But the grocery store isn’t the only place where we get our food. We have a small garden in our back yard that provides for us. Before you get all up in arms about not having room or money at your house, we are renting and therefore cannot plant anything in the ground. 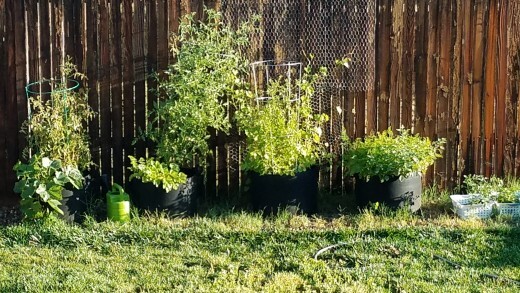 We simply have a line of pots in the rocks along the fence where we have planted tomatoes, carrots, sun berries (the blueberries of Colorado), mini pumpkins, beans, spinach, kale, strawberries, and a variety of herbs. We didn’t have the money to buy a bunch of expensive stuff either. However, Sprouts had a carousel of seeds for $1 each. We bought one pack of spinach, kale, carrots, and tomatoes. The pots we found on Facebook that people were giving away for free, and the soil was the cheapest soil that Lowe’s carried, at $1.88 a bag. Strangely enough, that was the organic, chemical free soil. We started our seeds indoors in March and April, and moved them outside when they were big enough to handle the weather on their own. We still have tons of seeds, as you really only need one seed per plant. Most of our herb plants were gifts, and I was able to borrow a few seeds to start the rest of my herbs from friends who had them. Voila! Free - Finally, much of our fruit and veggies come from people who have an overabundance from their own production, or have let us come and pick our own from their plants. I found these people on Facebook. We just got a huge case of peaches from a friend of my husband’s at work that had too many on their trees, and a new friend on Facebook invited us out yesterday to come and pick pears from her trees. And there you go! That’s how we get our food. But how do I store it all so it doesn’t go bad? Great question. The United States as a whole wastes more than $160 billion in food a year. According to the United States Department of Agriculture, which tracks food loss, dairy products account for the largest share of food wasted, about $91 billion. I hear this all the time. “We try and buy healthy food, and end up just throwing it all out because no one eats it.” I have to tell you that we would have the same problem, but I do one thing differently. I utilize food preservation techniques. 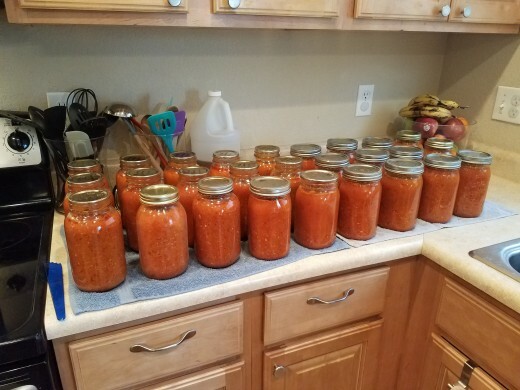 Canning - I get asked way too many times how we can possibly use a case of peaches or several boxes of pears, like we just went and picked yesterday. “It would all just go to waste in our house.” It would in ours too, but in the case of peaches and pears, I just can it all. I slice it all up, pour it in jars, and boil them in my water bath canner for like 20 minutes to seal them up, and then I store them in our basement for up to a year. If I decide that we need jam, pie filling, or peaches in our coffee cake, I can go and retrieve them downstairs anytime. “But we don’t have a basement.” I didn’t either in Arizona. We simply stored all of our products in our pantry. Granted, that means that I used the linen closets for pantries as well. Haha Honestly, it really didn’t take up that much room. Freezer - For all of our berries, melons, peppers, beef, chicken, and even cheese, I store them in the freezer. We found upright freezers on Facebook, over the course of time, for really great prices, and jumped on them. Now I can store food that I find at really great prices at the store, right in my freezer, and be able to use them over time, instead of needing to eat them right away. 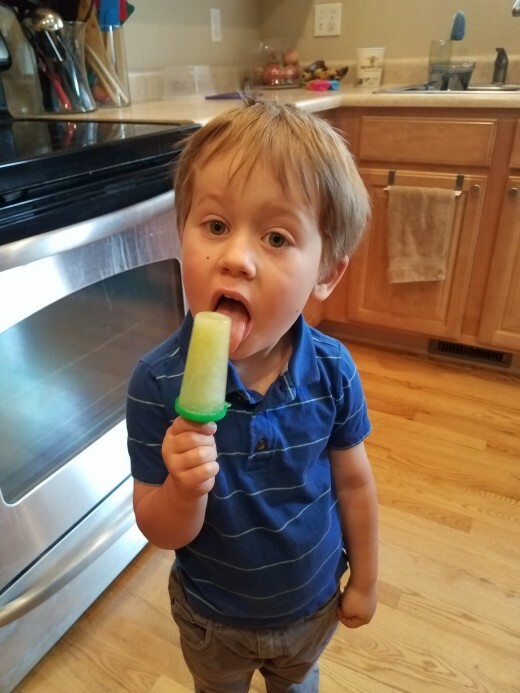 We make smoothies, popsicles, desserts, breads, and even eat many of them straight out of the freezer whenever we want them. 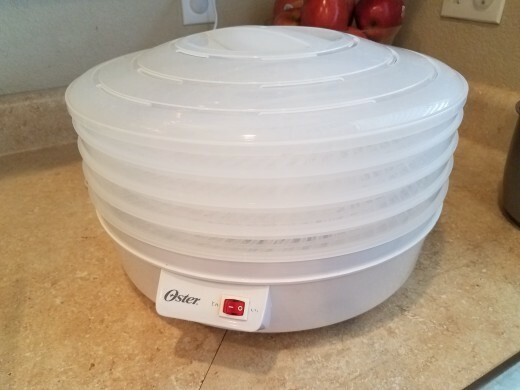 Dehydrator – I have also acquired two dehydrators, both gifts, over the last several years that I use to dry fruit, veggies, and even beef to keep for longer periods of time. No sugared dried fruits for us, or preservative-laden dried veggies. We even have yummy beef jerky all year round. You know how expensive beef jerky is right?! Not when you make it at home, and it’s super easy! I have been known to buy 50 to 100 pounds of onions at a time, when they go on sale, and dehydrate them all. I can put them into crockpot, Instant Pot, and even stovetop meals, eat them as they are, and use them in spices for super cheap. All I have to do is chop them up. 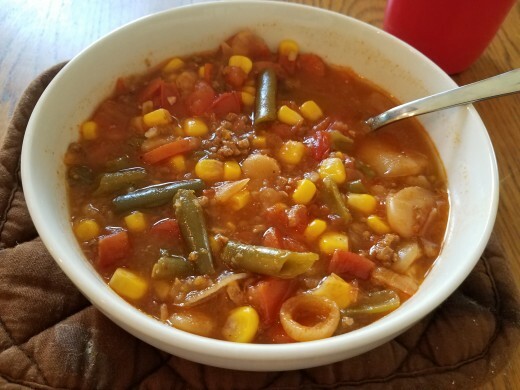 Leftovers – I make sure to make a meal at least 4-5 nights a week, usually in the crockpot. We eat leftovers for lunch, dinner, and snacks. If, for some reason, the meal isn’t getting eaten after a few days, I pour it into a storage bag and freeze it lying flat on a cookie sheet. This can get slid into the side of one of our freezer shelves in the garage for a night when nothing gets cooked and we need dinner in a relatively short period of time. We can pull it out, thaw it quickly, and there’s dinner. I use half eaten fruit and veggies, prepared snacks that aren’t getting eaten, etc. in our weekly meals. For instance, this morning I’m expecting grandparents to show up for the week. I didn’t want to have to worry about dinner with cleaning and kids, and trying to work today, so I made a crockpot meal. The hamburger was precooked and frozen in 1 pound portions in the freezer, the onion was dehydrated, the carrots were cut up for my toddler this weekend and didn’t get eaten, and I even used 3 half eaten apples cut up in chunks, along with potatoes and homemade broth and spices. We will have a yummy stew tonight for dinner. Scraps - And then I also have this no waste rule around here. If it can be used, I’m going to use it. Lemon peels and orange peels get used for cleaner and essential oils, so I store them in the freezer until I have enough. 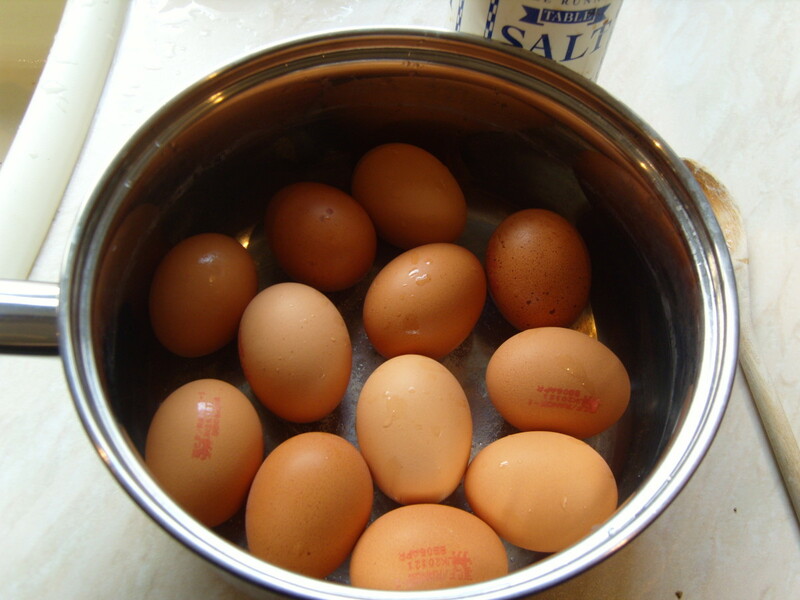 Banana peels get put in the dehydrator and egg shells kept in a container on the counter, both to be ground up and used in my plants. Veggie scraps get kept in the freezer in a storage bag until I have enough for veggie broth. Fruit scraps get stored in the freezer for jellies, essential oils, cleaners, and any number of fun things I can make. 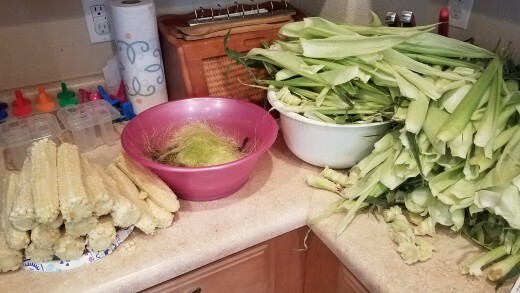 I even keep corn husks and cobs for broth, corn silk for spices, stone fruit pits for flavored vinegar and salad dressings, etc. The list could go on and on. Everything can be used for something, and in the freezer, there’s no rush. “But what about baked goods? Don’t you have to buy those, and they are filled with sugar and preservatives.” I love answering these kinds of questions for people! The simplest answer is that I make them myself. 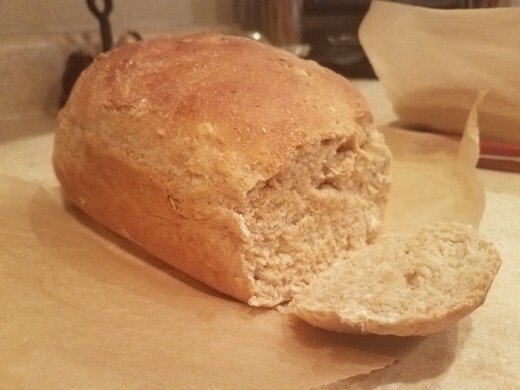 I have some super simple, delicious, fast and fun recipes for bread, chips, crackers, tortillas, granola, granola bars, and anything else you can think of. I make them in batches so that I have them for a while before I need to think about them again when I have the time. Bread - I will make 8 loaves of bread in an afternoon and store them in the freezer in storage bags until we need them. I will slice up one at a time with a sharp bread knife, and store it in our bread box for garlic bread, grilled cheese sandwiches, sandwiches my husband takes to work, toast in the morning, etc. When we start getting low, I slice up another loaf and store it in our inside freezer to pull out when needed. Tortillas – Tortillas are so incredibly fast and easy to make. I can whip up four batches or so, and store some in our refrigerator for weekly use and the rest in the freezer. But honestly, they don’t even have to stay in the freezer. They can chill in the bread box or basement when it’s cooler outside. They simply get rolled into balls, flatten with a roller into circles more or less and cooked briefly in a pan on the stove. 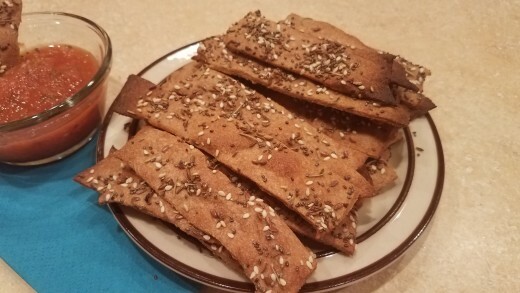 Chips and Crackers – If I can make a double batch of tortillas, I simply cut them into triangles, and pop them in the oven for a few minutes and that’s how we get chips! Or I can make them like I do crackers. The dough takes minutes to make. I roll out the dough on the counter, slice them up with a pizza cutter, and transfer them to cookie sheets. Crackers get brushed with water and sprinkled with salt and herbs, then popped into the oven for 9 minutes. Voila! In fact, I just made 3 batches the other day to fill up a cereal container in the pantry. We’ve been eating on them all week and still have plenty. Granola – Granola is great for snacks, cereal in the morning, used in parfaits or ice cream sundaes, or anything else that sounds good. It tastes 2 minutes to whip together and 30 minutes in the oven. For loose granola, I mix it up as it dries. I usually make several varieties and then store it all in sealed containers in the pantry. For granola bars, I let it dry in the pan and then swirl any topping I’d like on top, like melted dark chocolate, unsweetened coconut, or homemade caramel, and then cut it up in bars. These can be stored in the pantry wrapped individually. I know it sounds like a lot of work, but it really only takes a small amount of time when you have a minute to pull it all together, and then you don’t have to make it again for a while. The bread will last a week or two, the tortillas possibly longer depending on how many I make, the chips a week, the crackers a week or two. The granola lasts like a month or two. 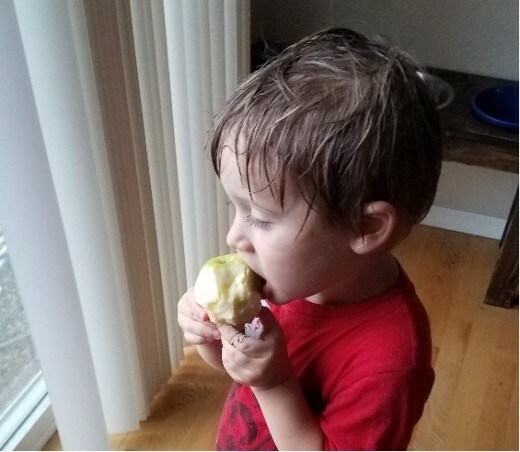 And what’s even better is that my kids get involved and learn a great lesson about healthy eating, healthy food choices, and taking care of themselves. One unexpected lesson is that they don’t like the taste of processed foods, because they get the real thing, that they helped make, at home. I think I answered everything. 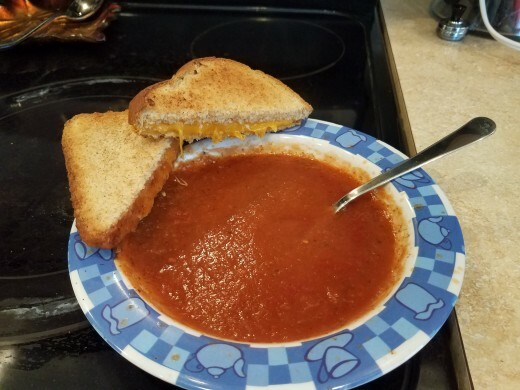 I get quality food because I shop at the right place, I save money because I take advantage of sales and stock up when the prices are super low, it doesn’t take much of my time, and my family prefers our homemade food over store bought foods, fast food and restaurants, and we have very little food waste. Here’s what my day looks like. If we want dessert, I make those too! 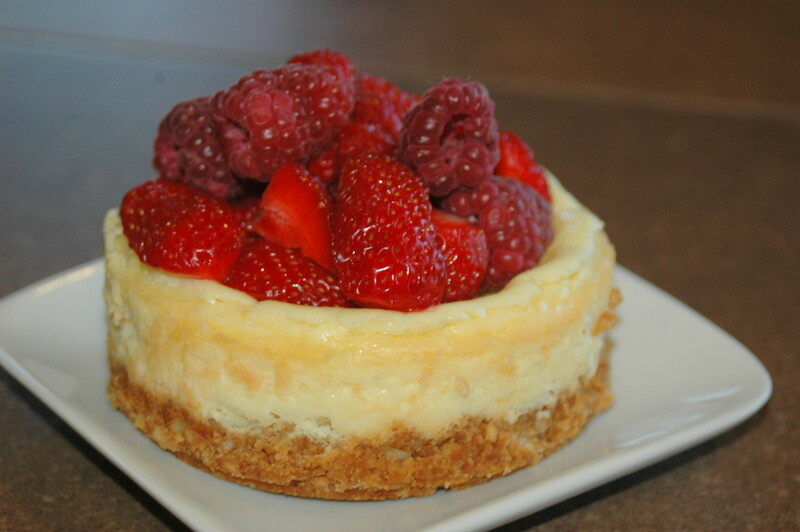 Cookies, brownies, cheesecake, fruit pies……. I think it’s just a way of living. Our veggies are either fresh from the garden, from the store, or canned in the basement. Our fruit is either in the freezer, from the garden, canned or fresh from the store. Our meats are usually all from the freezer. 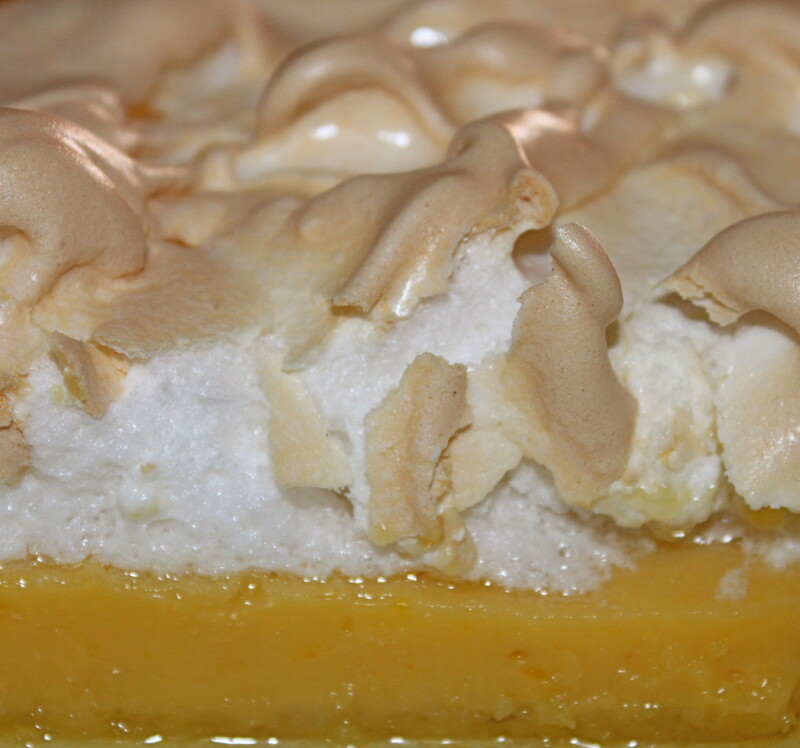 I make all of our bread products and desserts. Honestly, it’s all fun stuff to do with my kids between naps, walks, games, books, and playground trips. I even have time to run my business from home. We rarely go out to eat, as it’s rather disappointing anyway compared to our homemade concoctions. My kids are learning great lessons about food and caring for their families. We definitely aren’t crazy hipsters, and you wouldn’t likely know about my food choices if I didn’t have a business about it. It’s fun, easy and we save a great deal of money. What more could you ask for? I wouldn’t suggest trying to switch to this overnight. The way we live took years to build up to, changing one thing at a time until we reached this level. I would still love to grow all of our own foods and herbs, and have a farm. Right now, I’m learning how to identify edible plants in the outdoors. I think it would be really cool to know what you can eat when you’re away from home, or even be able to sustain yourself in an emergency. It’s all just a different way of thinking about food. If you’re interested in taking this journey with me, or even just making a few changes at home, message me. I’m your gal! :) Thank you. 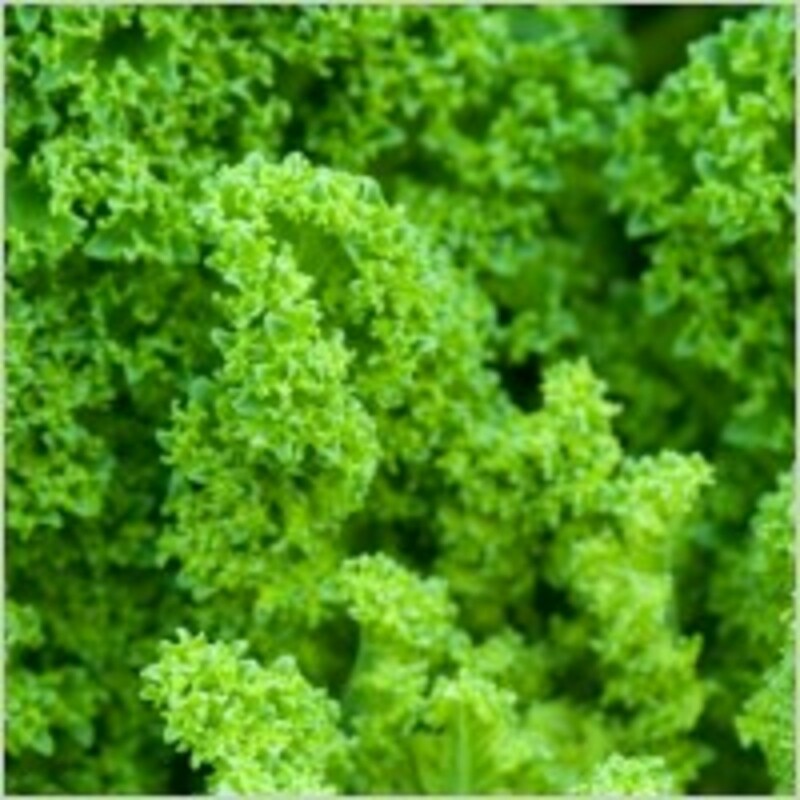 So many people think it's not possible and I'm just blowing steam with all of my homemade and healthy living articles. It's my reality and I hoped that by showing that, people would start really looking at my articles as a possibility for their lives as well. You're an inspiration, Victoria. I think it's wonderful that you're living off the land even though you're not on a farm. Your kids are being brought up with healthy ideas about food and are consuming foods as nature intended.